Native to north-central and eastern china, the Kiwifruit’s scientific name Actinidia deliciosa should be enough to deduce that the Kiwifruit is all sorts of delicious. The kiwifruit has juicy golden or green flesh with specks of black seed that are edible. Considered to be a generally fibrous fruits, a bite on the fruit exposes its soft texture and unique bust of flavor that could either be sweet or acidic. The flesh is covered by green-brown skin with fine hair like prickles. Despite the appearance of the skin, it is still edible should you choose to indulge and not waste a dime of your money. Kiwi juice contains numerous minerals like potassium, calcium, phosphorus and magnesium all of which are well known to be good for bone development. Studies suggest that the generous levels of Vitamin K found in the kiwi juice promotes mineralization keeping at bay diseases such as osteoporosis and other bone related injuries. Drinking kiwi juice not only enhances your immune system, but it also ensures that is functions at its optimal capacity. This is due to the vitamin C and E which are said to be powerful antioxidants that boost your naturally occurring antioxidants and proactively fights threats to your health. It is probably worth noting that the Kiwifruit juice has more vitamin C than lemons and oranges. We previously mentioned that the kiwi fruit is generally fibrous, but we didn’t mention just how great the fiber is. Multiple studies reveal that the kiwi juice contains the necessary dietary fiber to ease bowel movement as well as other digestive issues and prevent constipation. With naturally occurring laxative properties, the kiwi juice really is a great cleanser for your digestive tract. Vitamin C is the focal nutritional element in the kiwi fruit juice. Medics have often made a correlation between respiratory issues such as a blocked nasal passage, wheezing in asthma etc. to the lack of vitamin C. So how about a daily intake of kiwi juice to keep the flu, cold or wheezing at bay. Kiwi juice undoubtedly keeps winning with the number of nutritional/ health benefits it offers. The potassium in the kiwi juice balances the negative effects of salt in our body which in turn lowers blood pressure. Potassium in the kiwi juice can also help to manage high blood pressure by easing out the tension in our blood vessels. The fiber, Vitamin K and E just to mention a few nutrients that can be found in the kiwi juice go a long way to ensure your heart stays healthy. Vitamin K for instance averts the accumulation of calcium in the arteries reducing the risk of heart attacks while the other elements safeguard your cardiovascular system. 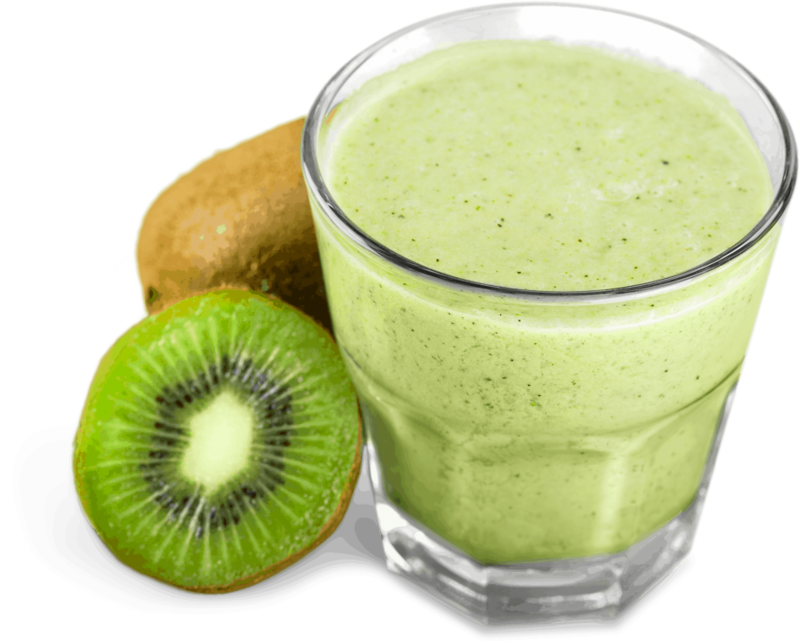 By now we have already established that kiwi juice is a super drink and it doesn’t get more super than a healthy pregnancy development in expecting women. Drinking kiwi juice during pregnancy is good for both the baby and mother. The high folate content protects the babies from neural defects and provides expecting mothers with nutrients such as magnesium and potassium that are known to improve muscle strength and ease muscle cramps and fatigue. I am positive our love affair with the kiwi juice is fully evident and undeniable. Should you choose to hope on our band wagon and consume the kiwi juice as a healthy snack or for breakfast, you will definitely receive the full benefits associated with it.